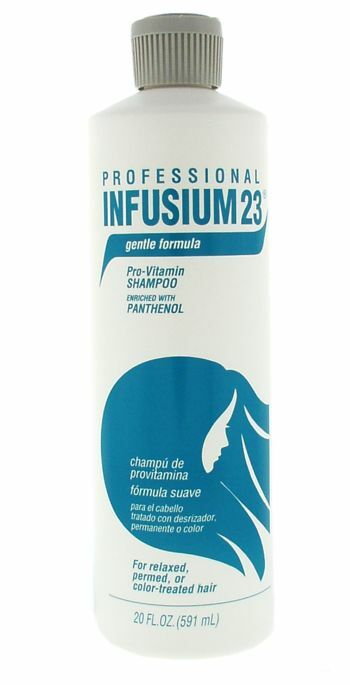 Infusium 23 Gentle Formula Shampoo 20 oz. Enriched with Panthenol For Relaxed, Permed, or Color-Treated Hair Infusium 23 Gentle Formula Pro-Vitamin Shampoo is specially formulated to gentle cleanse chemically treated hair. This conditioning formula remoisturizes relaxed, color treated and permed hair and leaves it shiny, silky and manageable.